Raleigh makes an effort to partner with bike organizations and nonprofits throughout the country – such as Ride 2 Recovery, which helps emotionally and physically wounded veterans rehabilitate using cycling, and Century Cycles’ Bike to School Challenge, the biggest bike to school movement in the country. Another amazing partner is Bike Works, right in Raleigh’s Seattle backyard. 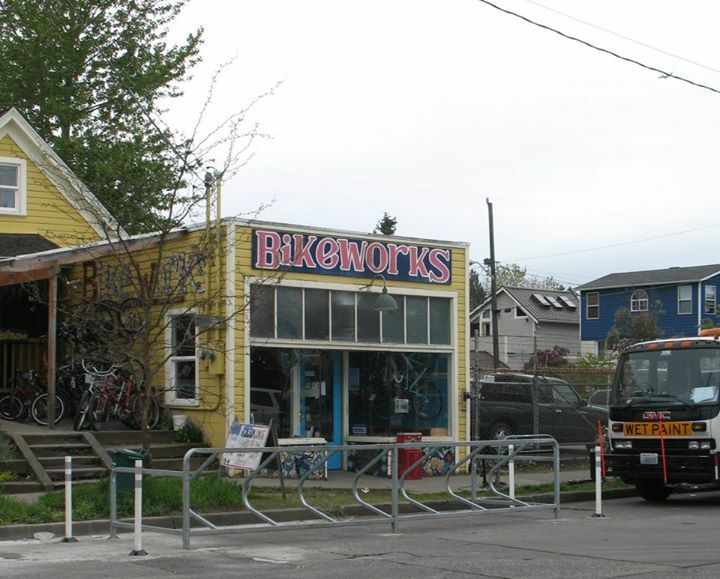 Formerly called Free Ride Zone, Bike Works has been around since 1996 with the goal of granting better access to bikes for Seattle communities. When created, the organization’s founders researched options like free bike shares and bike giveaways, but nothing perfectly fit their vision. Finally, they uncovered the “Earn a Bike” model, where kids and teens ages nine to 17 learn to fix up bikes. After spending a certain amount of hours working on bikes for others, they then have the opportunity to fix a bicycle of their own. Kids learning how to fix bikes in the classroom. Deb Salls, the Executive Director of Bike Works, came from Chicago where she worked for the YMCA. “I was at a great nonprofit,” stated Salls. 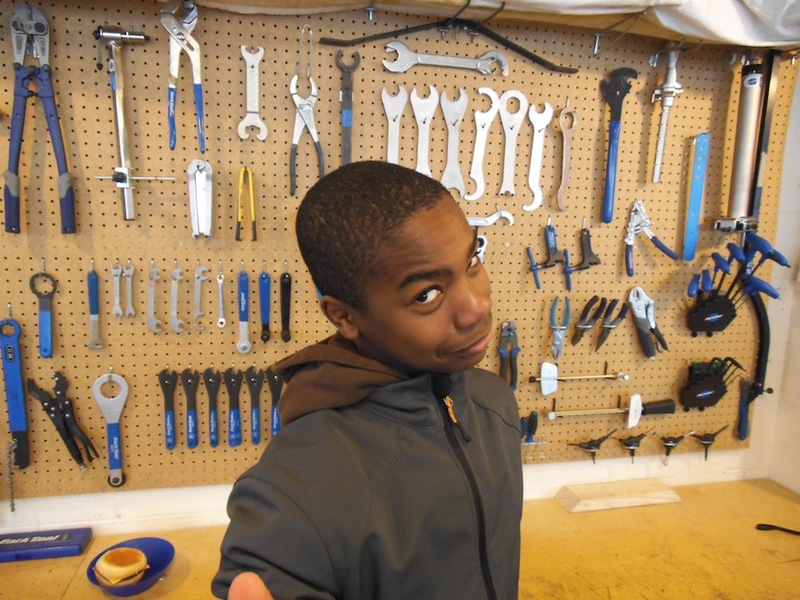 “But I was removed from the day-to-day, hands-on work that drove me to enter the nonprofit sector.” She compares Bike Works to other young adult programs that use art or film as a way to engage them, but Bike Works uses bicycles as the medium. 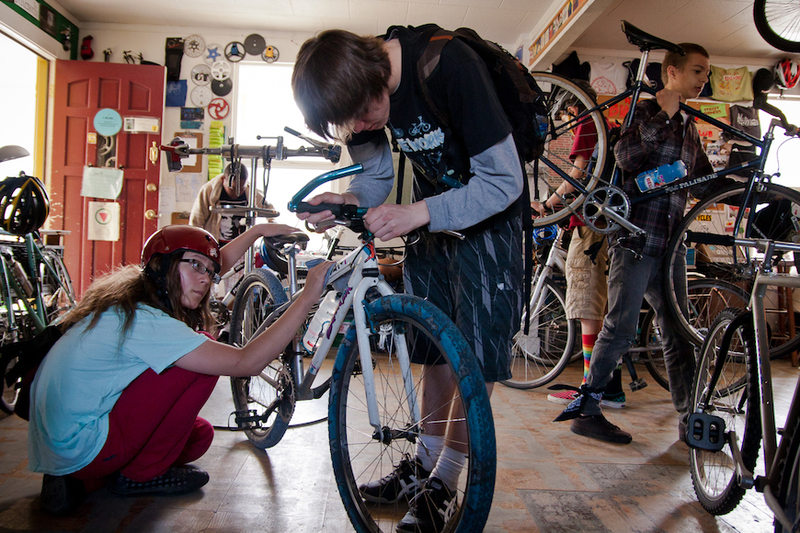 Bike Works began by focusing on children, but now offers adult classes as well. “I think adult development is the same as youth development,” Salls related. “It’s transformative for them and they have a symbiotic relationship with the kids.” The program today is nearing an even split, with 600 youth volunteers and 500 adults. Last year there were 4,049 bikes given to Bike Works. This year, they are already on their way to collecting over 5,000. And the donations come from everywhere. Girl Scout Troops conduct bike drives the way they would a canned food drive. Bike dealers and bike builders donate what they don’t need or want. Their biggest partnership is with a recycle and waste management system in Seattle, who help by setting up giant shipping containers at dumps and recycling centers around the city. People who are throwing away an old broken bicycle can instead put the bike in the bin. From this system, Bike Works gets two to three shipping containers of bikes and bike parts a week. Going forward, Salls said they are working on a Bike Works mobile shop. “We want to take what we do on the road,” Salls declared. “We want to be present in spots without bike shops.” Her ambition is to build out a food truck-like vehicle into a small bike shop, which would then travel to youth centers and housing developments. The volunteers would fix bikes and sell small bike accessories, like helmets and locks, out of the truck. Visit Bike Works at their Seattle shop on 3709 S Ferdinand Street or at http://bikeworks.org.